Adventure activities centre with simple self-catering cottages in a historic setting. The renovated cottages are clean, comfortable, well-equipped and full of character. Activities on site include canoeing, cycling, and hiking; and wildlife in the region includes moose and beaver. 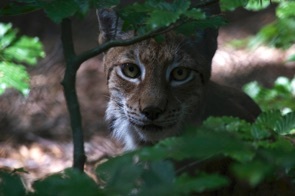 Johannisholm Adventure is within easy reach of the Dala horse workshops at Nusnäs, and the wildlife park at Orsa, where you can see many indigenous Swedish animals. A range of stylish, great value self-catering cottages and apartments. Interiors are calming and attractive, featuring classic Scandinavian design, with smart, modern kitchen area. 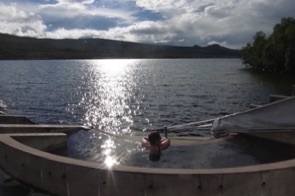 Good summer destination, with hiking trails, canoeing in the Lake Rogen region – an extensive network of waterways and lakes – and easy access to the excellent Musk Ox Centre nearby. 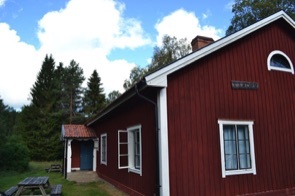 Convenient hotel, 200km north of Stockholm, for travelers heading from the capital into the wild north of Sweden. The hotel consists of spacious self-catering apartments that are modern, stylish and smart. Featuring excellent quality furnishings and decoration, the apartments offer a well-equipped, spotless kitchen, three bedrooms and two bathrooms. Each apartment looks out onto a communal swimming pool. 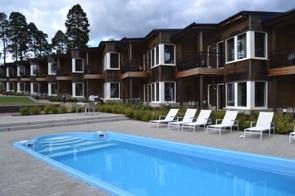 Gorgeous spa hotel near Håby and the Bohuslän Coast. The rooms and suites are beautifully decorated, with luxurious, comfortable beds by Swedish bed maker Carpe Diem. 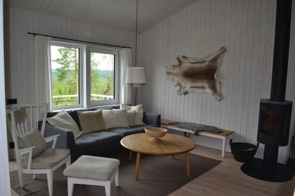 Many rooms have views across beautiful Gullmar fjord. The spa is a delight, with relaxation pools featuring different water temperatures and light therapy. 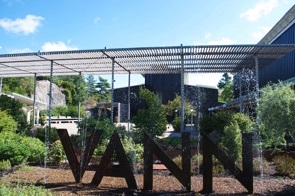 VANN has a commitment to reducing its environmental impact, and has been awarded the Swan Nordic Ecolabel. 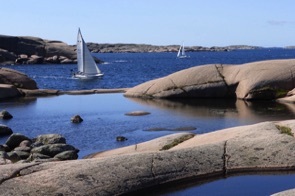 Friendly, welcoming, historic hotel right in the centre of this charming, Bohuslän Coast town. Built in 1878, the building features polished floorboards and elegant, antique furnishings. All staff are dedicated to providing excellent service, and there's lots of information on the local area available. For a treat, book the Grand Hotel suite – a spacious two-bedroom apartment that's full of style and character. 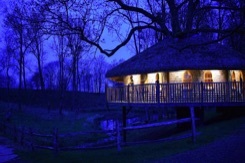 The best place to stay when visiting Nordens Ark wildlife park and conservation centre. Spacious, attractive rooms – including family rooms that sleep four – with very comfortable beds. Entrance to the park, on both arrival and departure days, is included in your stay. Also explore the adjacent Ecopark, with walking trails through an extensive conservation area featuring a wealth of biodiversity and Bronze Age rock carvings. This off-grid site offers an outstanding experience for nature-lovers. 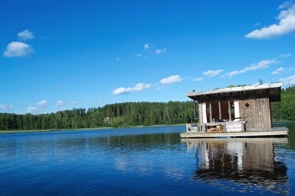 Stay in a cosy, handcrafted log cabin, treehouse, or a unique wooden cabin floating in the centre of the lake. The whole site is off-grid: cooking is done over the campfire, and water is collected from the swim. There's a wood-fired sauna, swimming in the lake, and free use of canoes – paddle out at dusk to see if you can spot the beavers! 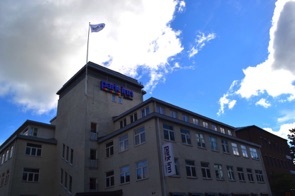 Outstandingly friendly staff at this Stockholm hotel, 20 minutes by bus from the centre of town, and near the ferry terminal for boats to Helsinki. Lovely rooms and suites, with stylish Swedish décor. Good buffet breakfast, and wellness area with swimming pool and hot tub. 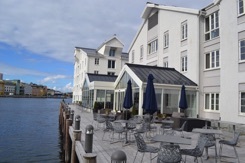 Lots of eco-friendly features – Quality Hotel Nacka is part of the Nordic Choice chain, which has excellent environmental and sustainable policies. 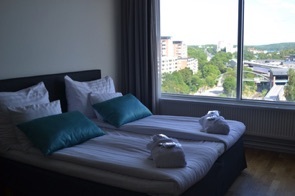 Welcoming hotel in the heart of the vibrant Södermalm district, and just 50m from the metro station. Rooms are light and bright, with modern, minimalistic design. 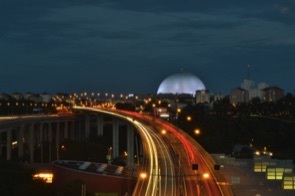 Some rooms have stunning views across Stockholm to the Ericsson Globe. 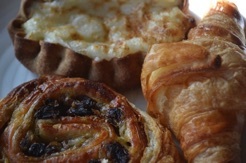 Excellent buffet breakfast. Part of the eco-friendly Nordic Choice chain, with electricity generated through 100 per cent renewable energy, and reduction of chemicals and non-recyclable waste. Historic hotel in a good location, within walking distance of the train station and city centre. Staff are friendly, helpful and welcoming. Hotel is decorated in a colourful, vintage style with comfortable communal lounge area. Rooms are clean and spacious. Good environmental policies and practices, including recycling bins on each floor. 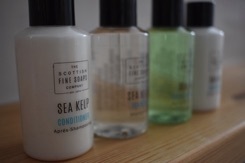 The hotel has been awarded the Green Key Certificate, so is working to reduce its negative impact on the environment. Sweden's oldest mountain hotel, established in 1882. The hotel has a luxurious, exclusive atmosphere without being pretentious. Rooms combine classic features with contemporary décor. The on-site Mii Gullo Spa blends with the surrounding natural landscape to offer a relaxing and tranquil experience. Fantastic eco-friendly practices at the hotel, from sustainable heating and use of local food to wildflower areas, full of biodiversity, in the grounds.